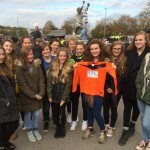 RPL have spent the last year researching and developing a fabric that will perform to Crib 7, UK, fire test rating. We have had plenty of failures but the final result has actually exceeded all of our expectations. How and why did a foam converter take it upon themselves to delve into fabric development? Having reviewed some of the fabrics available and fire tested them ourselves we didn’t feel 100% confident in our findings so we decided to produce our own fabric to ensure that the product would perform as we expected and the customer would demand. So now we knew that there was a market that needed a product that all suppliers and customers alike could feel safe and confident in supplying we began the development process that resulted in the Anti Vandal fabric that we are about to launch . What makes the RPL Trust fabric so unique is that it can achieve this Crib 7 rating over UK domestic foam, in fact the fabric passed over a 28/150 foam? This was achieved without the use of interlines or DX, carbon foam. This will mean that the costly part of adding interlines or using expensive carbon foam is no longer needed. 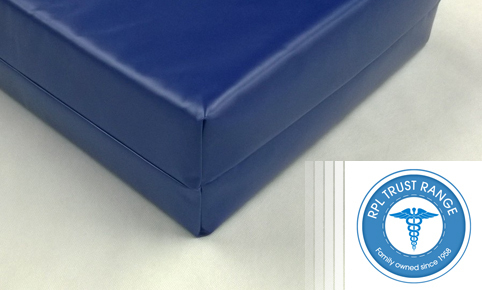 Simply wrap the foam in the RPL Trust fabric and the Crib 7 rating is achieved. The fabric has passed the Martindale rub test at the highest abrasion level and we have done our own ‘key’ test, as the prison authorities do, to see how durable to a sharp object the fabric will be. Believe us when we say the results were outstanding for the sheer strength of the fabric. We have also taken advice for the NHS market regarding their guidelines on this specialist fabric so we have developed this fabric to be PHTHALATE free. The fabric also welds on both sides without any delimitation with a strong weld that will hold fast in any robust and challenging environment. When we launch the fabric you will be able to recognise the mattresses and other products using our technologically advanced fabric as we will ensure that each of our products will carry the logo as a stamp of not only approval but the stamp of peace of mind for all those supplying or using our products. For vulnerable and secure environments where the first concern is safety and the risk of fire is high then look no further than an RPL Trust product that will with stand the rigours of every day use as well has having the potential to safe lives if the worse happens and a fire is started.